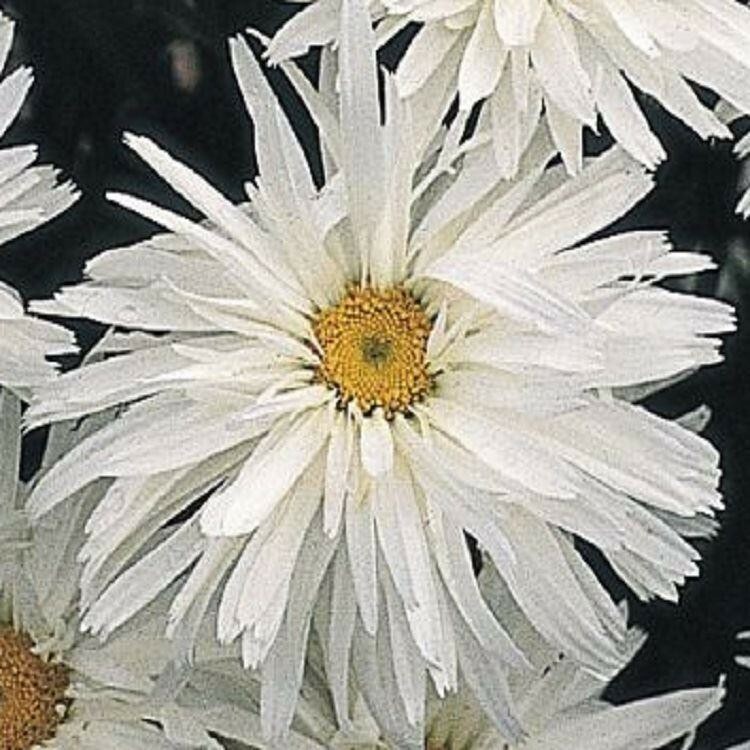 A delightful variety of the ever-popular Shasta daisy. This robust clump-forming perennial has glossy, almost fleshy, dark green leaves and bright white flowers borne on top of long green stems. The flowers are produced over a long period, usually from early summer to early autumn, and have unusual ruffled double effect created by masses of petals. 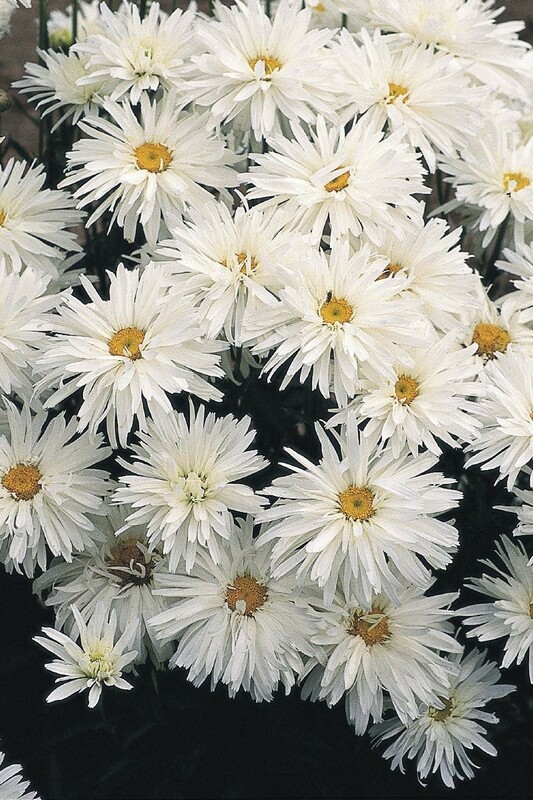 This easy-to-grow daisy will lighten up any border. Supplied in approx 1litre containers.